UNPAVED / OMTM 2017 RIDE SERIES, EPISODE 4. This year's Dark Larch V2 packs the same condensed wallop of forest road, singletrack, gravel and faerie footpath but with a couple of tweaks to the original course. It will have the same Historic Highway rollout to Alex Barr and Palmer Mill + Palmer Mill Ghost Town singletrack romps up to the Larch Mountain gate on the front end, but will bypass the decommissioned forest road NF20 in favor of a four mile drop down Larch Mountain Road to the elusive Dark Larch Wizard Trail at mile 26.4. See photo >> for visual reference. It can be a bit hard to spot. It will be on the left hand side at mile 26.4. 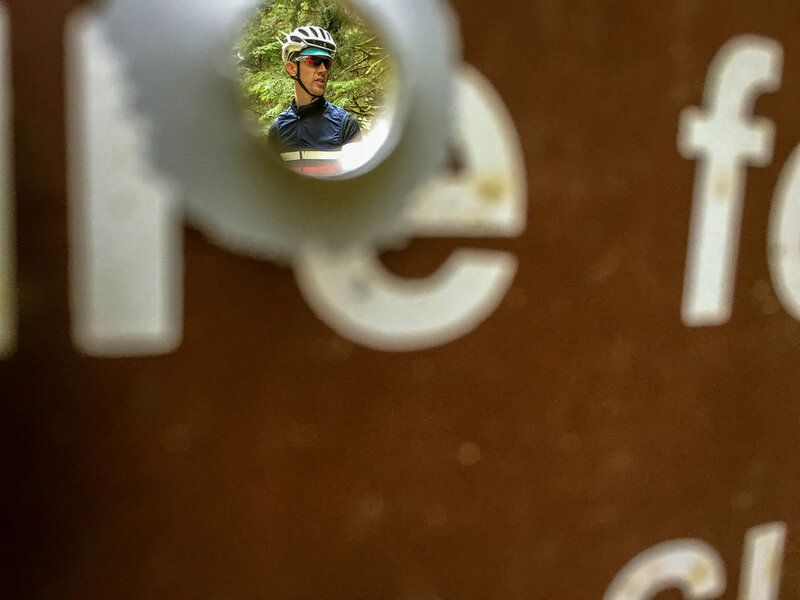 This quiet slice of loamy bliss crosses Buck Creek in the way nature intended before dipping off down the Dark Larch Byway, a forgotten bit of forest road with a few punchy climbs which completely sidesteps the Bull Run watershed boundary. The Dark Larch Byway lets out at the legendary powerline gravel bomb to Gordon Creek. Take it easy on the Gordon Creek hairpin descent at mile 41.7, let's keep the rubber side down this year. 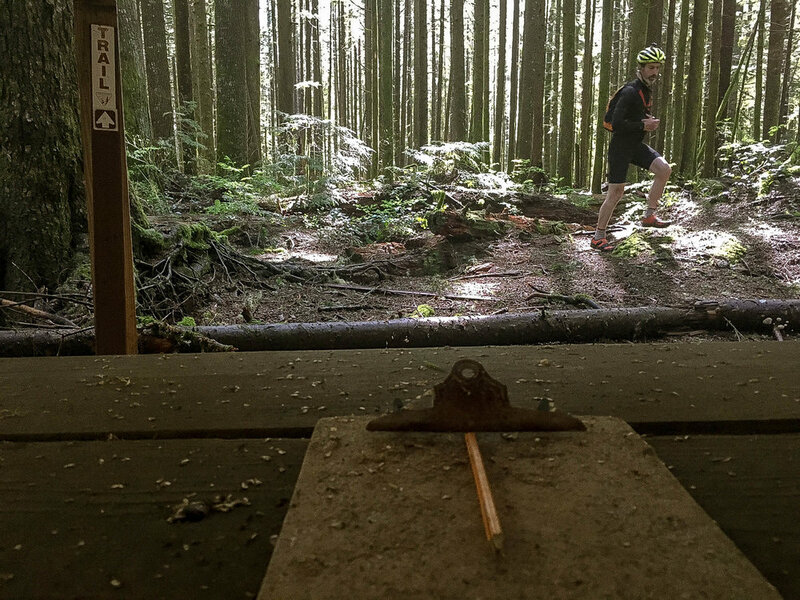 At mile 42.6 we dive into the Jurassic singletrack of the North Oxbow Trail and the Sandy River Beach Club at mile 43.9 (look for the spur leading off to the left). 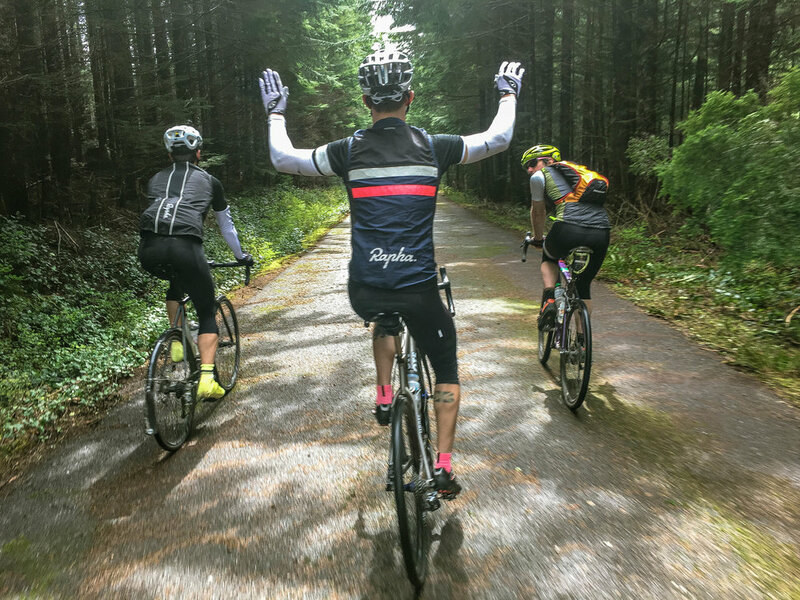 After some rays and a few piña coladas, we'll coax our bronzed bods up the herculean OXBERG climb and ease back down the Historic Highway to belly up for some burgers and brews at Shirley's Tippy-Canoe. * This route requires GPS navigation. Please download the route to your Garmin, or use the fine RWGPS app on your phone. * Tire sizes of 35c-45c recommended. While we suppose you could have feasibly #roadbikesoffroad-ed this on 28c's last year, the severity of the rainfall and wetness in many areas of the course make it a really bad idea this go-round. Please please please, nothing smaller than 33c. The course is much, much wetter than the late summer run last year, rendering it very difficult for smaller tires. * Dabney State Recreation area does require a day pass ($5)...another parking option w/ no fee would be Glen Otto park @ Historic Highway + the Sandy River, a couple of miles NW of Dabney on the Historic Highway. There are bathrooms and great water at both Dabney and Glen Otto.